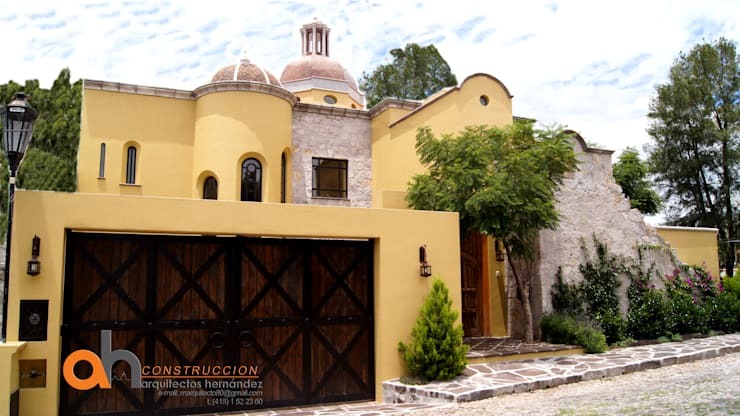 The façade of the home is the first part that your guests see when visiting and it should therefore be beautiful, elegant, charming and almost irresistible. There are many style choices that would make a façade fantastic, including materials, textures, colours and even fixtures and fittings. However, before considering a façade makeover think about the colours and finishes that would best suit your home and your personality. A colour choice that can never go wrong is definitely an earthy tone. This simple and neutral palette can be used for a façade of a home in a variety of shades to highlight an elegant entrance. 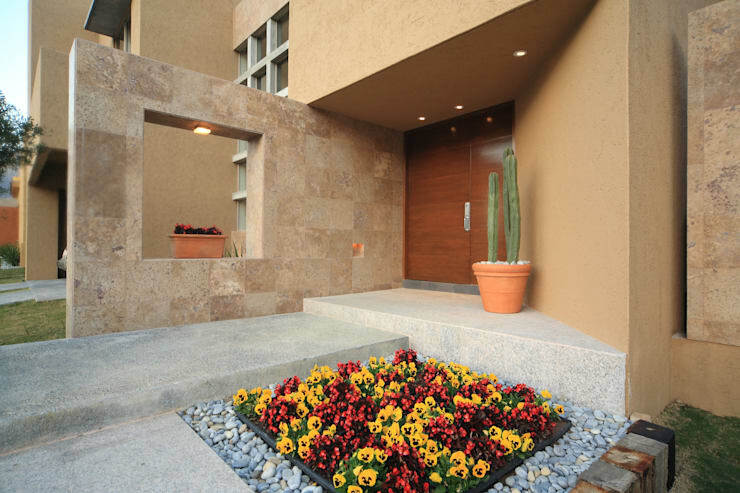 Combine earthy tones with a textured wall for a fabulous result! Adding a strong shade of dark blue is a great way to make your house stylish, elegant and vibrant. By combining a darker hue with a white or neutral background, the combination makes for an interesting contrast that is different and dynamic. 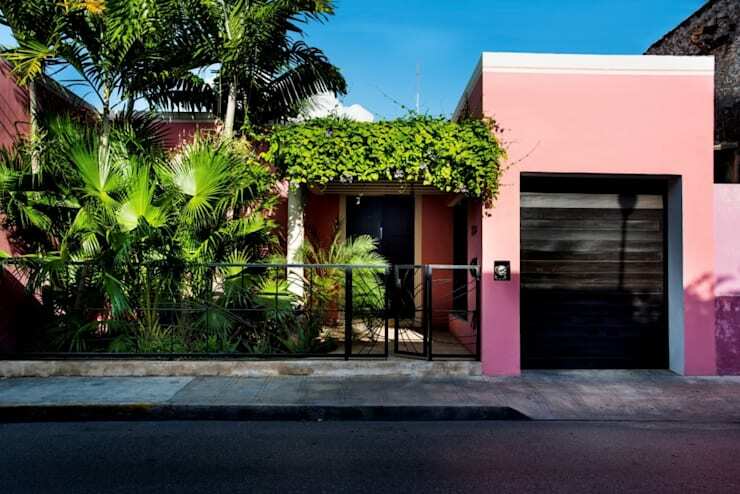 Rose pink is an interesting colour choice that is a bit risky for some home makers, while those with an eclectic taste might just opt for this fascinating colour. 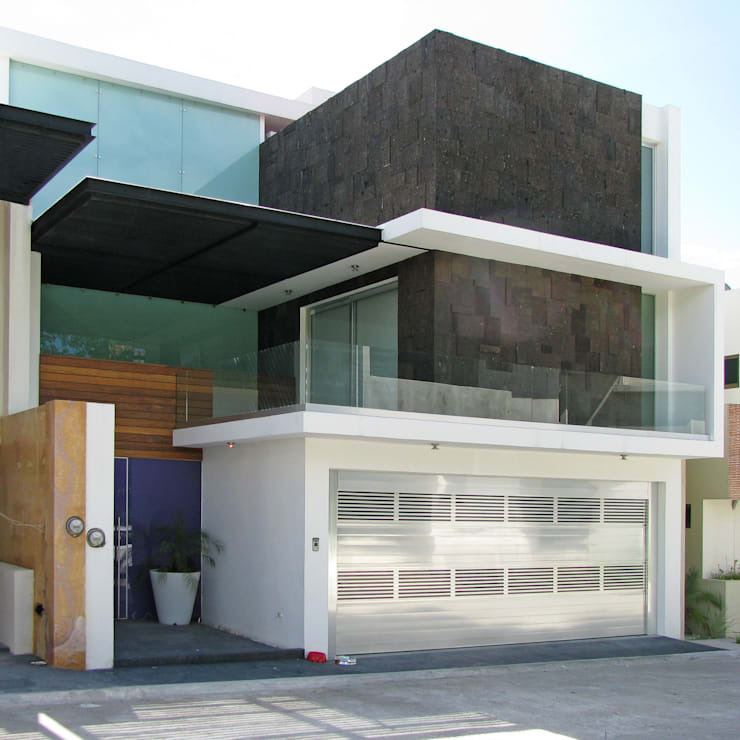 This home has some personality and was designed by the architects to be soft, subtle and welcoming. When considering neutral shades for your home façade, the options vary greatly, going from simple white, to basic beige and even gorgeous grey. So next time you are changing your façade colour, this neutral grey might just be perfect. If you are looking for a colour that is eye-catching and full of energy, then perhaps this vibrant colour will suit your façade. It goes well with other neutral shades, but also makes a stunning impact when paired with wooden finishes and a natural, green lawn. 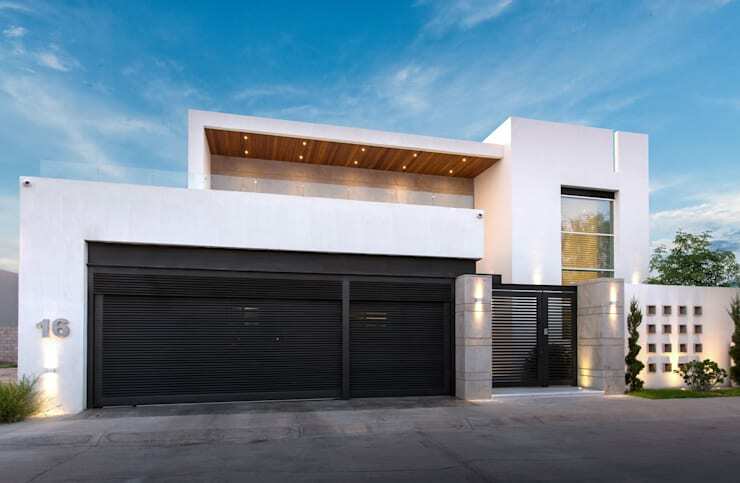 Monochrome walls might not be the perfect colour choice for all houses, but this white and black façade on this modern home is absolutely marvellous. This one is definitely a classic exterior style. 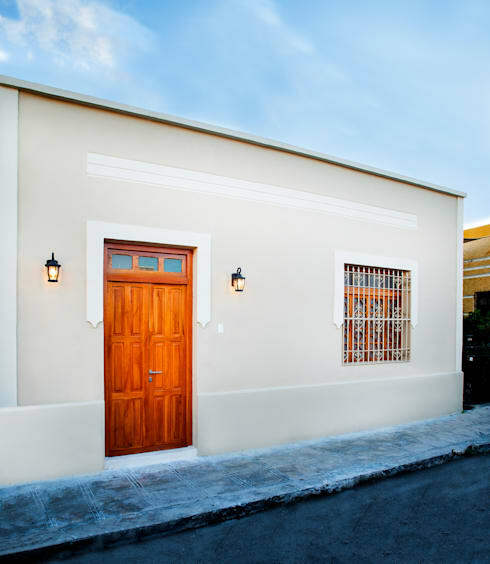 Using yellow as the colour choice for your façade creates a happy exterior that enjoys and enhances the golden hue of the sunlight. It’s an effortlessly neutral shade and would be perfect for a home with a gorgeous rustic style. Stylish modern homes can often use a variety of colours and shades to enhance an elegant atmosphere and this combination of white, grey and blue is sleek, modern and sophisticated. One of the most widely used colours for a façade is a neutral shade. It’s a versatile choice that works well with any style whether it is modern, industrial and even rustic and will remain trendy and tasteful for years to come. 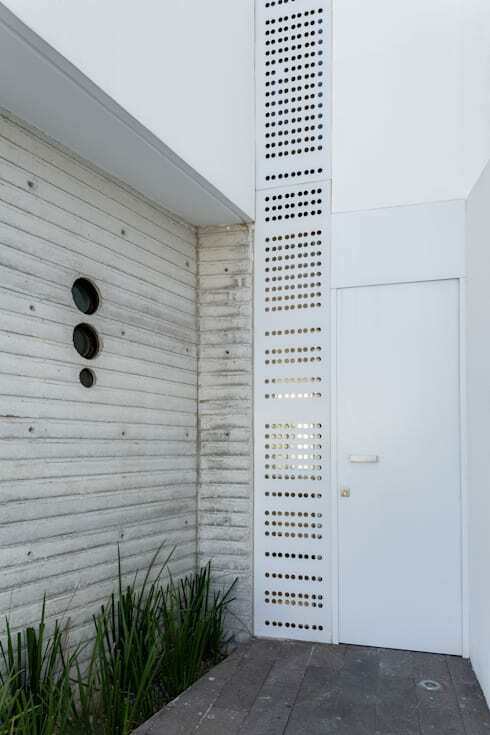 The all-white option for a façade is a fantastic choice to enhance the bright and illuminated atmosphere of the home. 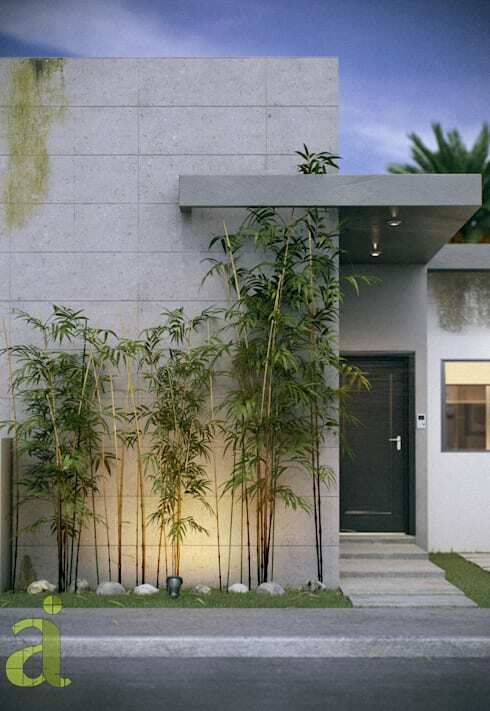 It’s also the perfect exterior décor choice for a modern minimalist home. 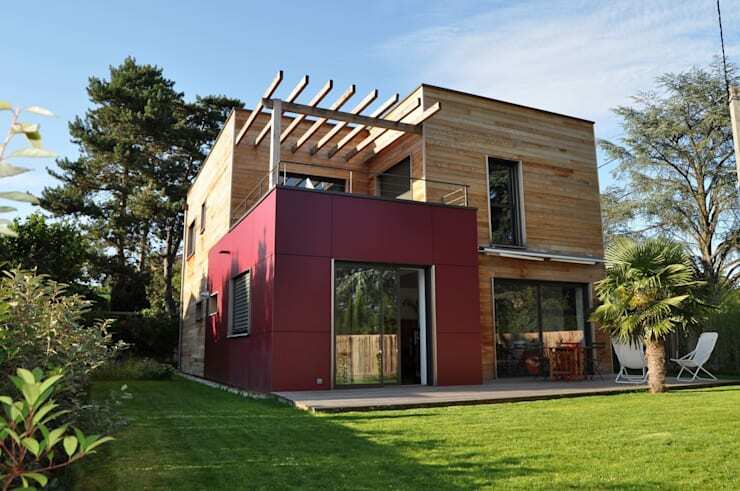 Here are: 6 Small Modern Façades to Inspire You! 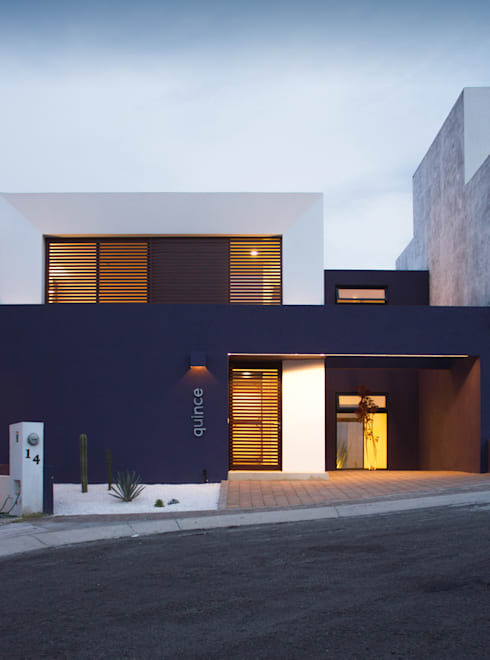 Which facade do you love the most?